Buy from Kitchenwareonline genuine spare parts for freestanding and built in Bosch microwave and combination ovens. 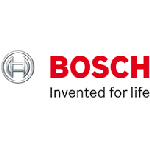 If you are looking for Bosch microwave parts you can find all available spares here. Our selection of Bosch microwave parts includes Bosch Magnetron, Glass tray, Inverter, Bosch Roller ring, Bosch waveguide cover and many others specific spares suitable for different Bosch freestanding and built in microwave and combination ovens.